StreetBond | Pimentel Paving Inc. This product line has beautiful, efficient coatings for asphalt and concrete that adhere permanently to pavement surfaces. It creates a surface that is durable, low-maintenance, and practical, with UV color protection. These coatings can be used to color and protect either flat or stamped asphalt surfaces, and they work in almost any condition. 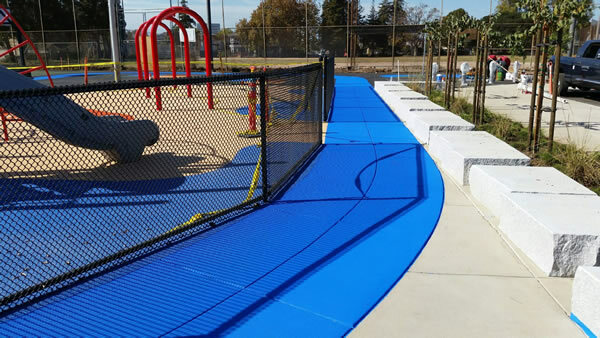 See examples of our StreetBond projects in our Projects Gallery. 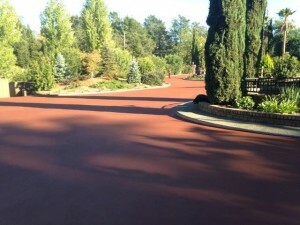 You can see the wide range of beautiful colors available from the product manufacturer’s Pavement Coatings Color Guide. Pimentel Paving has expertise applying this product, along with all of the other products we have tested and approved. Ask us about StreetBond150™ coatings to beautify and protect your pavement surface and get our free recommendation for the best solution for your situation.